The idea of puting a baby to sleep in a cardboard box might seem strange to most British parents. But Finnish experts say it could help save lives. Since 1938, the Finnish government has given mums-to-be a box before they give birth, which contains clothes, sheets, handbooks and toys. The box also has a mattress at the bottom, so it can be used as a baby’s cot. 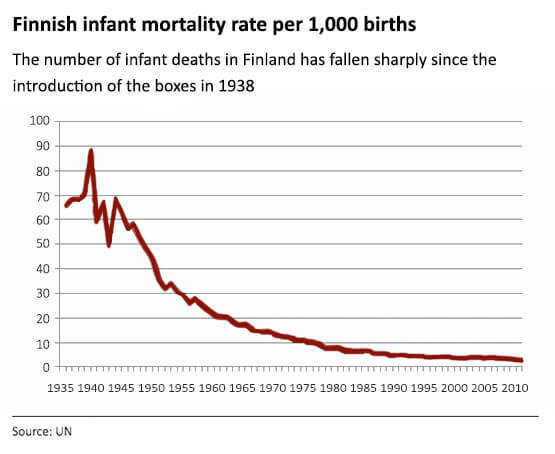 The tradition is credited with helping to bring down Finland’s infant mortality rate. The country had 65 deaths per 1,000 children born in 1938. 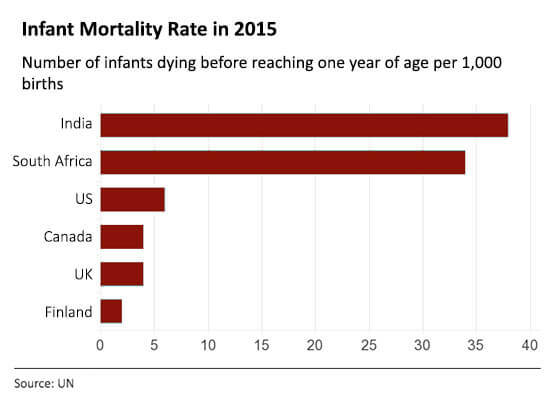 This reduced to three deaths per 1,000 births in 2013, according to data compiled by the United Nations. The trend has been spreading to other countries in recent years, and now it’s about to be introduced in UK hospitals. The pilot project will see about 600 boxes being given to all women who give birth at Queen Charlotte’s and Chelsea Hospital in London in the next few months. The initiative is in collaboration with an American company that now sells baby boxes to parents all over the world, Baby Box Co.
As well as being a great help for expectant parents who may be overwhelmed with everything they need to get for their babies, the baby box is also a way to make sure babies have a bed to sleep in when they’re taken home. Publicity in the UK surrounding the Finnish baby boxes spiralled when the Finnish government sent one of their boxes to the Duchess of Cambridge when she was pregnant with Prince George. A spokesperson for Queen Charlotte’s and Chelsea Hospital said more information on the trial in London will be released mid-May.